​Founded in Sant’Egidio alla Vibrata a small town in central Italy, Gran Sasso, named after the Italian mountain is as much a family business as it was at the beginning of its journey back in 1952. With a passionate devotion to creating quality knitwear the four Di Stefano brothers combine traditional styles with innovative designs that stand above many of its competitors. Blending vintage and contemporary cottons and wools Gran Sasso provides some of the finest Italian knitwear available today. Fine merino and pure cashmere knitwear made to the highest level of standards ensure an unrivalled array of comfort and luxury. 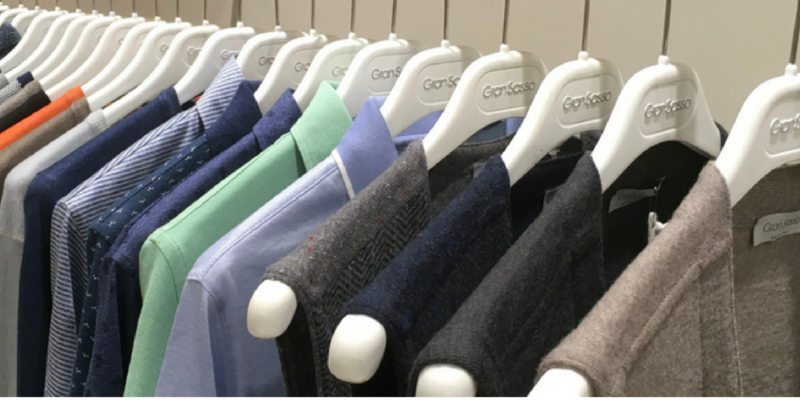 If you would like to add a piece of pure luxury to your wardrobe at an affordable price why not visit us and browse through the timeless style of Gran Sasso. The Stunning New 2018 Collection.